Taking skate style to a whole new level. Turn heads with our urban styled, Dual Certfied Gotham helmet. It features the patented Conehead EPS liner, Triple Eight logo vents and a subtle brim. No other helmet comes close to the comfort, safety and good looks of the Gotham. Simply put, the most beautiful ride on the planet. Snowboard all season, hack your commute, dominate any terrain and try to wipe that grin off your face! Simply put, the most beautiful ride on the planet. Snowboard all season, hack your commute, dominate any terrain and try to wipe that grin off your face! Now with extended range fun! Say goodbye to the days of pebbles in your shoes and stay above the fray with the Onewheel Fender Kit. Made from Policarbonate, the Onewheel Fender allows you to embrace the elements and attack the messiest lines head on. The Onewheel Fender easily screws into place using the included fasteners and allen-wrench allowing riders to install and remove depending on conditions. This pant protector, bat-mobile inspired fender is the only way to outfit your Onewheel for any conditions. Introducing the bag worthy of your Onewheel+ XR. We’ve teamed up with the senseis from MAFIA bags to create a limited edition Double Black Onewheel Slingpack. Simply put, this masterfully designed custom slingback makes Onewheel life better. More importantly it shows that you care for your Onewheel, your world and your fellow travelers. This limited edition Black on Black color way gives the bag a tactical feel and is suited for the most demanding adventures or commutes. Marcos Mafia founded MAFIA to build some of the world’s finest carrying contraptions out of up-cycled materials. Marcos is a waterman with a love of surfing, solid gear and a reverence for the environment. These shared values made a bag collaboration a no-brainer. Designed and made in MAFIA‘s San Francisco design studio, the slingpack is sewn from re-used sails, the handles are made of up-cycled wetsuit neoprene and everything is hand sewn with love. Each bag is hand-crafted by hipsters and color details are subject to change based on sails available. An amazingly durable, functional and beautiful bag. Shop with confidence. For your protection this site uses Secure Sockets Layer (SSL) 128/256 bit encryption technology to secure information inputted or transmitted. Additionally we respect your privacy, we would never sell or share your information. Sign up today and be the first to get notified about new products, discounts and updates. 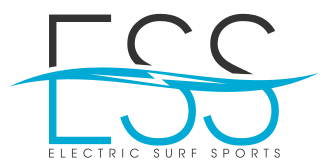 Electric Surf Sports © 2019. All Rights Reserved.